The holidays are such a busy time it’s easy to overlook a few things or make mistakes you wouldn’t typically make any other time of year. When things get hectic and your schedule tightens so much you feel strangled, stop and take a moment to catch a breath. Doing this may prevent some awkward or uncomfortable moments that will embarrass you. Whether you’re attending a holiday party or spending the weekend with a friend or family member, always bring a host or hostess gift. The person or family doing the hosting has to spend time and money getting ready for you, so it’s the least you can do. An overnight or weekend stay calls for a more elaborate gift, but it doesn’t have to cost a fortune. A gift basket with something related to the interests of the host family will show your appreciation for their effort. When you receive a holiday party invitation, don’t forget to send back the RSVP. The host or hostess needs to know how many people they can count on attending. The key is to get the response in the mail immediately. If you’re not sure whether or not you’ll be able to attend at first, put a reminder on your calendar and send the host a message with the date you’ll get back with him or her. Then do it. Thank you notes are always in order for anything someone does for you. Whether you receive a gift or get invited to a party, always follow up with a note to show some gratitude. It doesn’t have to be long, but it should be specific and heartfelt. When sending any type of holiday cards, don’t forget to include your name. It’s wonderful to think of people during the holiday season, and they need to know who cares enough to send a card. Also try to think of a personal message, even if it’s brief. If you don’t know what else to say, perhaps you can mention your wish for a snowy Christmas morning or blessings from your home to theirs. It’s always fun to give someone an electronic gift or one with moving parts, but only if you remember to include the batteries. 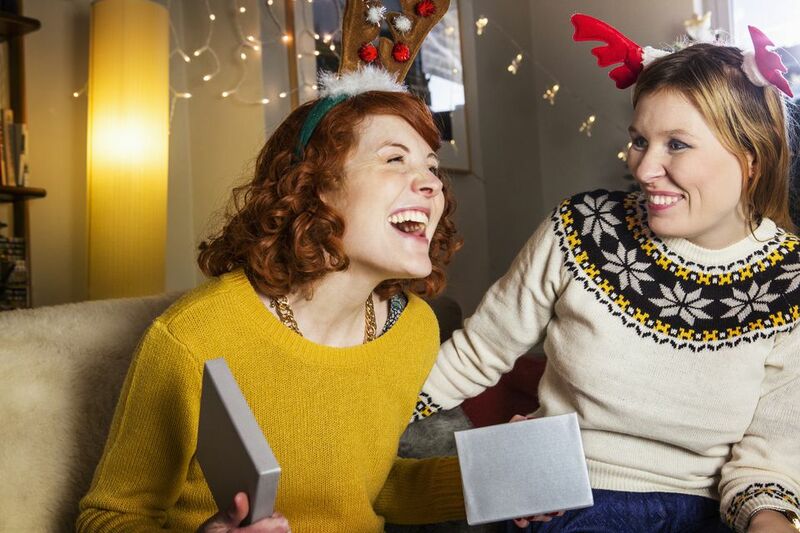 The person on the receiving end will probably want to start enjoying the gift right away, and it’s difficult to find a store that’s open on Christmas Day. 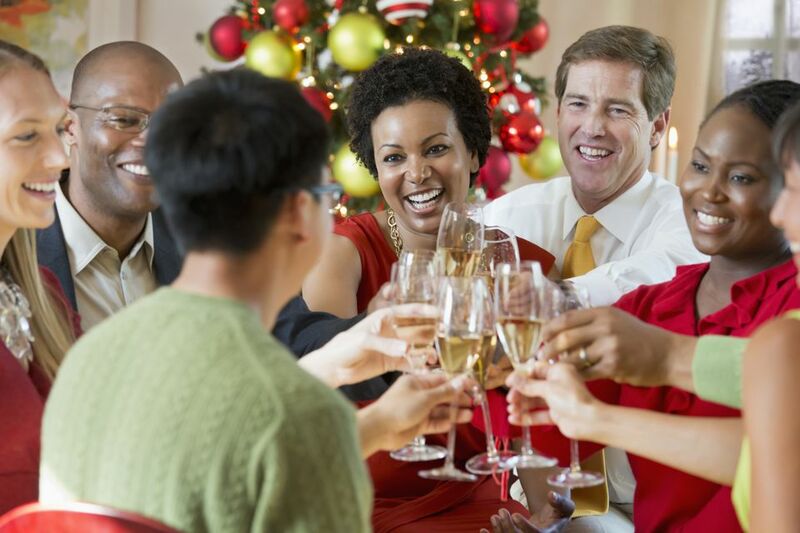 If your company hosts a holiday party, it’s important to refrain from having too much alcohol during the event. Getting drunk with your coworkers might sound like fun, but it can get you into all kinds of trouble later. Instead, opt for soda or juice after the first round of drinks. Or if you know you’ll have a difficult time saying no to the second round, abstain to avoid the temptation to overindulge and make sure you keep your wits about you. Holiday parties should be enjoyable for everyone in attendance, so resist the urge to show off anything you have that no one else does. This includes fancy cars, mansions, designer clothes, expensive jewelry, or whatever else you think might impress friends, family, and coworkers. It’s better to be humble and let others form their opinions of your character without all the trappings and adornments. This may have been a rough year for you and your family, but don’t bring everyone else down by airing your grievances and failures with everyone. Instead, it’s better to count your blessings and let others know how much you appreciate them. If you and your friends, family members, or coworkers agree to exchange gifts, set a price limit. And then stick to it. Having one person in the group give something that’s way out of the agreed upon price range is embarrassing for everyone there, especially the recipient. No matter how tempting it is to say whatever comes to mind during the holidays, it’s better to think first before opening your mouth. Avoid the urge to gossip, share secrets, slander others, or say anything you might regret later. Turn the holidays into a time for uplifting, rejoicing, and counting your blessings.